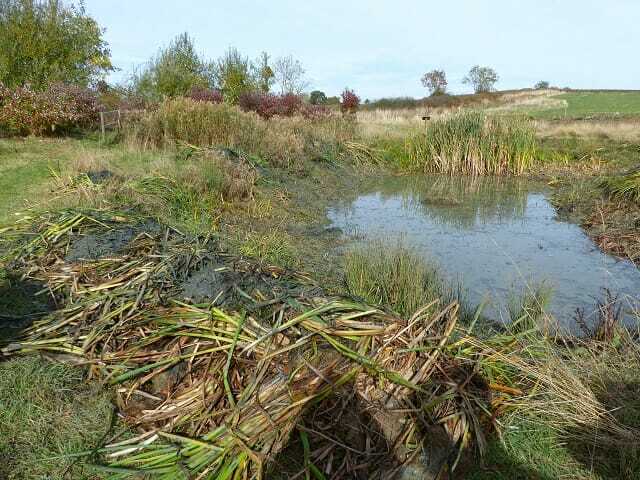 If a wildlife pond is to remain a pond, once a year it is necessary to take out a good deal of the vegetation, not only from the pond itself but from the inflow channels as well. If we don’t, within just a couple of years, the pond would become a marshy area with no clear water, and soon after that it would become so clogged with plants it would start to dry out completely. Wildlife ponds are a crucial part of a healthy ecosystem. During this long summer of drought, the pond at Sun Rising was one of very few in the local landscape that retained any water. The level dropped by some six feet, but the remaining 3 – 4 foot of water was a lifesaver to vast numbers of visiting wildlife. You could see from the footprints at the water’s edge just how many birds and mammals were coming to drink, let alone the bees, bats and other creatures. Yesterday, however, was the clearing day. 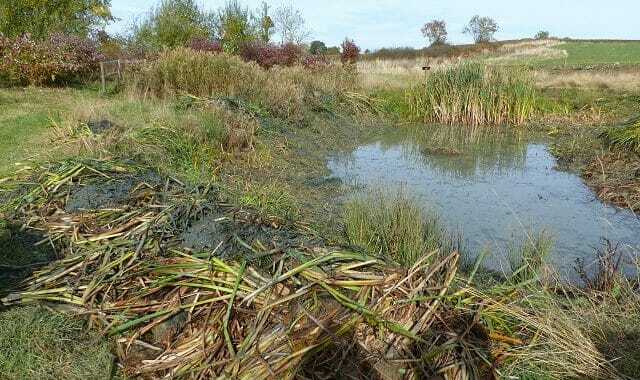 Here’s a photos taken after the bulrushes, bur reed, pondweed and other vegetation was cut back. You can imagine what a muddy job it was, and we thank the three wonderful volunteers who came to help out: well done! This cut vegetation will remain on the pond’s edge for a few days, allowing little creatures who were pulled out with it to creep, crawl and slither back into the water. We’ll then clear it, putting it the compost heap behind the pond bank. Check our Instagram page for more pictures, including one of the very muddy lads who helped … https://www.instagram.com/sunrisingnaturalburial/. Click on the photo there and you can swipe through more pictures. You may like follow us on Instagram while you’re at it!